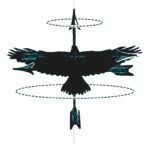 James R. Gapinski is the author of Messiah Tortoise (Red Bird Chapbooks) and the forthcoming novella Edge of the Known Bus Line (Etchings Press). 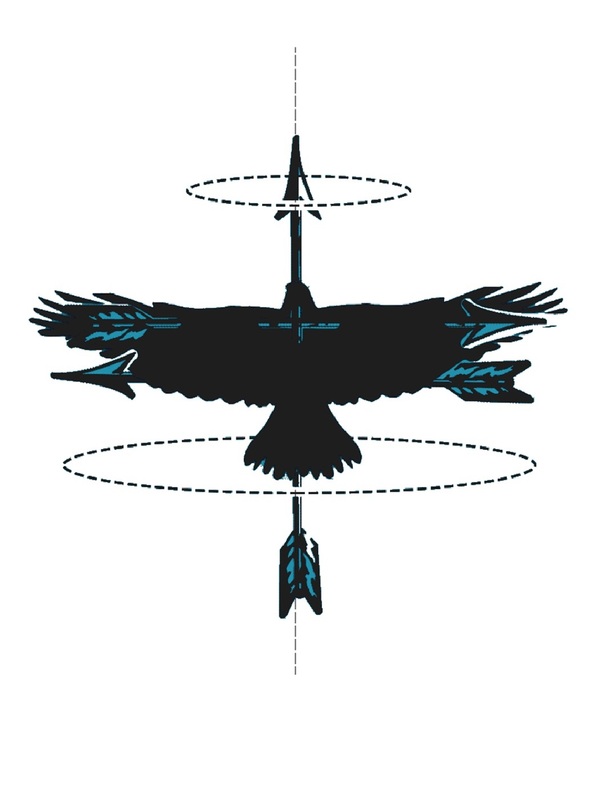 His short fiction has appeared in The Collapsar, Juked, Monkeybicycle, Paper Darts, Psychopomp, and other publications. He lives in Portland, Oregon and works at Chemeketa Community College. MESSIAH TORTOISE is a collection of short fiction that showcases a trichotomy between the patrons, bosses, and low-tier workers of a rapidly dilapidating zoo. These relationships are explored throughout the entirety of the collection, often revealing the incompetent, selfish nature of both the patrons and operators of the zoo as well as the plight of the workers attempting to sustain themselves economically through their mundane work. The collection does a wonderful job of consistently building on the strange world Gapinski establishes through eyes of several engaging characters; including an unappreciated arborist, a kiosk operator, a sympathetic chimpanzee, and a bat family experiencing an identity crisis. The title story of the collection introduces us immediately to an artful blend of serious tones/themes and comical language that remains consistent throughout the entire collection. Our narrator for the piece is a kiosk operator that makes a living selling “cheap plastic toys” and making balloon animals, though he “isn’t very good.” When a priest notices a stigmata in the form of a wounded tortoise across the way of the narrator’s stand, a satirical portrait of religious radicalism is painted. People flock to the tortoise, yearning for it to heal them. Because the wound is the attraction, all the caretakers fail to look after it, despite comments made by the kiosk operator. As with every other story in this collection, the only people who care about the well-being of the animals are the bottom shelf workers. This narrator is not only a worker of the zoo, he is also the brother of an ill man who is paralleled to the wounded tortoise, relying on the religious nature of the tortoise and his wounded foot for a chance at recovery. This layering of characters occurs often in the collection. Later on, the reader is shown a flamingo caretaker who goes home and his character doubles as a devoted father. We see a train operator’s daily routine reveal that they are an incredibly imaginative individual with repressed aspirations, also combating the building tensions of their life outside and inside their job. It is this exploration of different perspectives that creates the illusion that these characters are actual people, people you may have actually met before. Gapinski’s artful personification of animals ended up being the most humanizing aspect of the collection. There are two stories told sheerly through the perspective of a zoo animal; in “Tire Swing” (the last story in the collection), it is a chimpanzee who yearns to feel a connection to his lost mother and to see the world as she saw it, and in “There’s No Such Thing as Fruit Bats”, the reader is introduced to the Nocturnal Animals Exhibit and the main character is a member of a bat family. It is these two stories that raise the most human questions: Who are we? What do we want? Why do we behave the way we do? Although the world of the zoo is composed almost entirely of realistic images, there are also instances of surreal circumstances and imagery that emphasizes the various themes and motifs of the collection. The reader gets to see children sleeping on a bear within a commercial establishment as part of an exhibit, a group of spider monkeys performing tandem contortion acts, and zoo patrons looking at a flock of plastic flamingos as though they were real. The most surreal circumstance occurs in “Wild Paintball’ where the zoo, due to its failing economic situation (of course, money is the motive), opens up an interactive exhibit where patrons pay to hunt wild animals with paintball guns. The following horrifying, surreal, image will linger in any readers mind whenever they hear the word zoo: “Several birds flopped around at ground level, unable to fly with thick paint coating there wings. Some lemurs tried to climb the cardboard trees only to slide down the layers and layers of slick paint. Multi-colored penguins waddled around in search of water, finding nothing but puddles of unswimmable paint.” These circumstances are not impossible, which allows the collection to maintain a vivid sense of being real. However, the images are so strange and unlikely that they also bring a light dream-like quality to the text. The world created here is strange, fantastical, and gritty. Undoubtedly, by the end of this collection you will never be able to imagine a zoo through the innocent eyes of your child self again. The “wild” animals will be reduced to muted caricatures of their natural selves, the fun cups topped with zebra heads revealed as a gross object sold to support an uncaring boss-man by a worker who can barely support themselves (and likely resents their position in life). We have, as a society, certainly grasped the exploitation of animals is an unfair, uncaring trade. What this collection does to build on this idea is show us from the inside, even from the perspectives of the captive animals, exactly how terrible it is. It exposes how willing human beings are to initiate suffering, or to succumb to humiliating work, for a paycheck. By time you reach “Wild Paintball” you will have decided to support an animal revolt against the increasingly hostile institution. You will beg for penguins to peck ankles, for monkeys to latch onto faces, and for a lioness to bear her teeth. And when they do, you will stand and cheer. BRYCE: There are a lot of animals in this collection that are associated with various personalities, how did you deduce which animal would best be personified for specific stories? For example, why a freedom seeking chimp instead of a freedom seeking bat (and visa versa)? GAPINSKI: In most stories, there’s more of a loose allegory than direct one-to-one relationship with the animal’s real-life characteristics. So a freedom-seeking bat could’ve been just as plausible as a chimp. I guess it mostly comes down to what I personally associate the animals with. So in the example of the bat story, I tend to think of bats as misunderstood creatures, and that bled into the story. BRYCE: Of course, I have to ask which animals are your favorite? Any particular reason why? GAPINSKI: If I’m thinking about the animals in my stories, I like the grizzly bear the best. I can relate to the bear’s desire to just curl up and escape from the world. If I’m thinking about my real-life encounters with animals, I love turtles and tortoises—that’s probably why I decided to make the tortoise a revered creature in this collection. I’m also a cat person. My partner and I have two housecats, and I think that tigers and other big cats are majestic and fascinating. BRYCE: What experiences have you had with the zoo environment, either as a child or an adult? How did these experiences bleed into your creative work? GAPINSKI: The zoo is equal parts magical and melancholic. I love animals, and I’m in awe of earth’s rich biodiversity every time I visit the zoo. I can also remember going to the zoo as a kid and enjoying every second of it without any of stress or bitterness or pessimism of adulthood. At the same time, the zoo can also be depressing. There are all these animals trapped in little cages. In some cases, captive breeding programs can help save endangered and threatened species—and some zoos keep species alive through this kind of work—but habitat destruction is still a sad reality. In my collection, I try to capture both sides of the zoo’s mystique. There are whimsical elements in this collection, but there’s also bleakness in many stories. BRYCE: In the title story, “Messiah Tortoise”, the main character wants to believe in religion, to have that comfort. Everyone wants something to believe in something, so what do you believe in? What comforts you? Well, as I said earlier, I like cats. I find them comforting, especially if I’ve had a particularly rough day. A cat’s purr is soothing. I also find comfort in my partner and in books. I prefer not to get into a direct dialogue about “beliefs” because that gets complicated, but the short answer is that I’m not religious. BRYCE: Everybody on Earth strives to have money. It’s a necessity, unfortunately, to survive. In this collection it seems that the dividing variable that separates an antagonist from a protagonist is sympathy / empathy. What other variables exist that you believe divides the good people from the bad people (as far as seeking money is concerned)? GAPINSKI: I’m not sure. I think that question is a bit above my pay grade—I’m no philosopher. I like to write stories that explore the possibilities of human nature, but I’m not one to label people good or bad. I think there are few—if any—absolutes in fiction. I don’t mean to be coy; I simply don’t have a great answer for this question. I think that writing is a way to interrogate bigger questions, but the actual answers need to come from the reader. BRYCE: What’s next for you – what projects are you currently working on? I have a novella coming out with Etchings Press next month. It’s called Edge of the Known Bus Line. It’s about a woman who boards the wrong bus and gets dropped off in a surreal hellscape. It’s a survivalist tale, and it’s a lot darker than Messiah Tortoise, but it still has some notes of humor too. I’ve been preoccupied with all the final revisions for that piece, reviewing proofs, talking to venues about readings, stuff like that. I feel like I’m still living in that project, and I’m not thinking ahead yet. Once the novella comes out, I’m sure I’ll dive into some short fiction again. Check out the title story of Gapinski’s collection, “Messiah Tortoise”, as published in Pidgeonholes‘ VERDA issue, here. 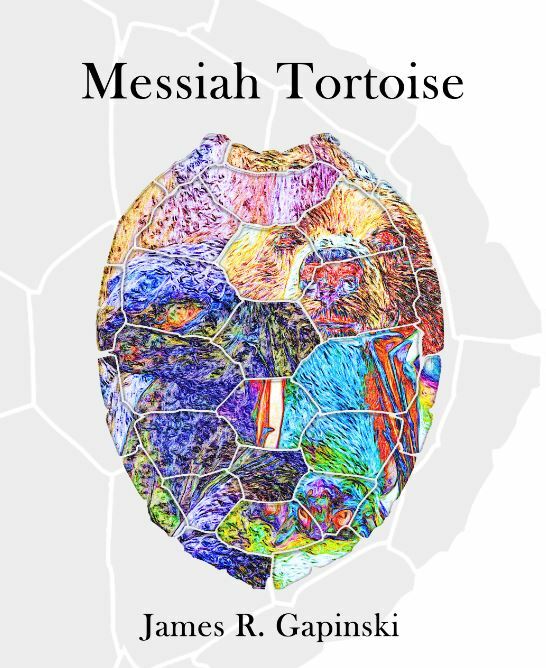 Copies of MESSIAH TORTOISE can be purchased through Red Bird Chapbooks.